Emory University is attempting to preserve “heritage” turkeys by feeding them to its students. 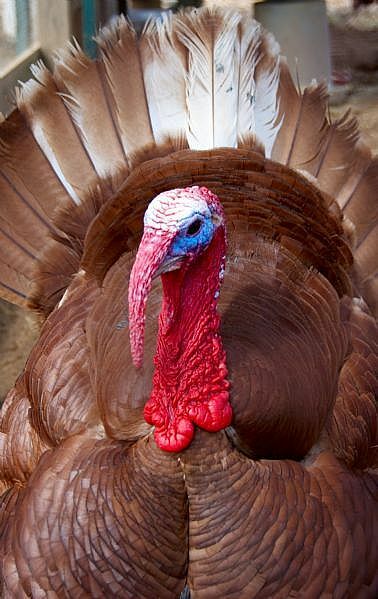 The Standard Bronze and Bourbon Red turkeys are in danger of dying out due to lack of demand. So, apparently, is the Tennessee Fainting Goat and other species that don’t fit the factory farm mold. The lede of this Chronicle of Higher Ed. article (pay site but there are day passes…) declares: “Sometimes the best way to save something is to eat it.” It then describes how Emory ordered 1,600 pounds of birds for its Thanksgiving meals.